Linda has done a beautiful job on sharing her latest Hometalk Board with us all! 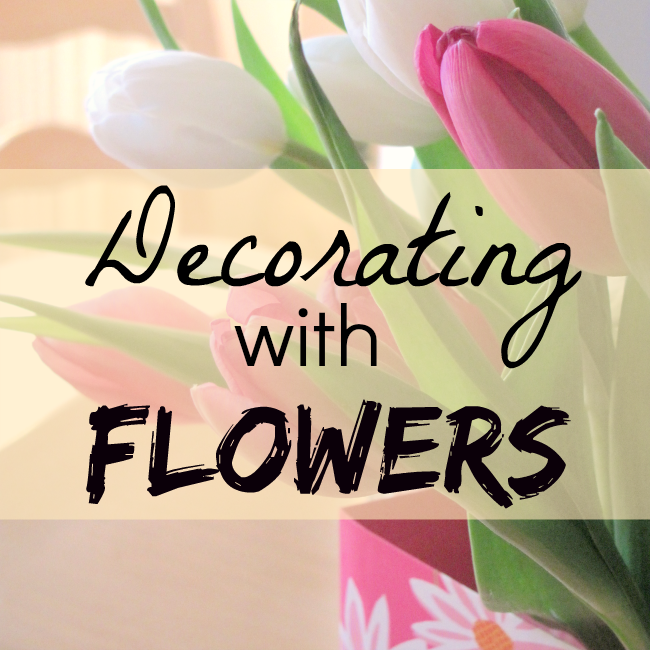 Be sure to check out her Creative Way to Display Flowers post! As for me, I am still looking hard for my new place and still asking for your prayers in this. I had to be here today, whilst a realtor showed my home to a bunch of strangers. It wasn't as bad as I had expected, but still not easy. The packing continues! My first pick was these adorable little cupcakes from Lamberts Lately! 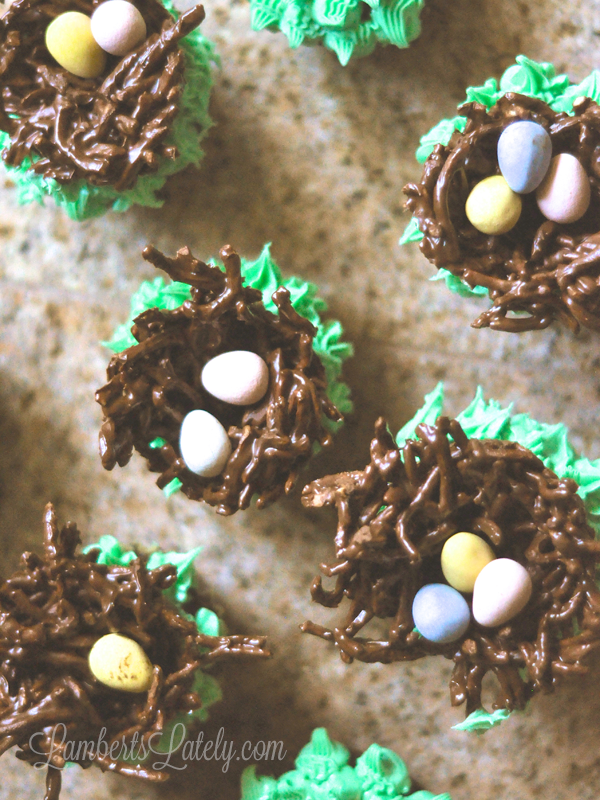 I just love her little Chocolate-filled Birds Nest Cupcakes and she has the sweetest little helper. Lastly, I have to tell you, Sumptuous Spoonfuls is batting a thousand on what I Like! Be sure to check out Ann's awesome recipe for Harissa Tomato Soup with Cheese Crisps YUM! Linda's first pick is absolutely adorable and creative! Have you had a chance to see My Little Treasures DIY Wind Chime with Recycled Spoons? So stinkin cute. Now, for her third and final pick, here, she chose The Lou Lou Girl's Yummy Bacon and Roasted Tomato Grilled Cheese! ( I know that was her pick, but I think I'm going to have to try this one out, too! Now make sure to pop over to Linda's now to see if you were her Bonus Feature Pick! Thanks for the party! Keeping you in my thoughts as your search for a great new house continues. Thanks so much, Beverly! It means so much to know you are all out there pulling for me. 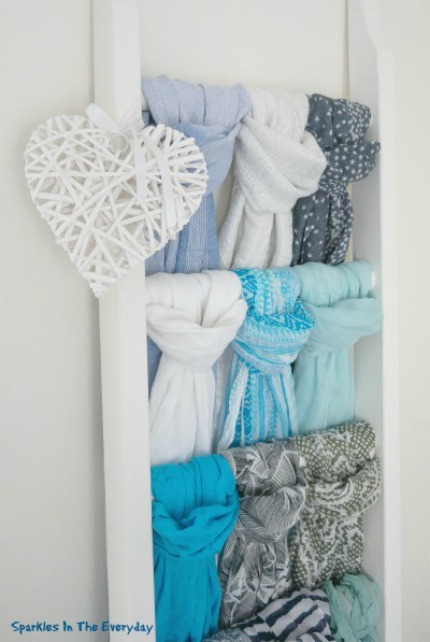 Thanks a million for including me and my Pantry Post - I hope some of the ladies will find it a great solution to so much clutter on their shelves-& eliminate some other unique pantry problems. I wish I were doing more creative things to share with you but that's just where I am ...another season of life but I will be alert to things around me that your followers might make use of or enjoy.. Please keep us posted about the changes in your life ok & don't let it get you down. Dear Jonell, I love your posts and hope you don't change a thing about them. 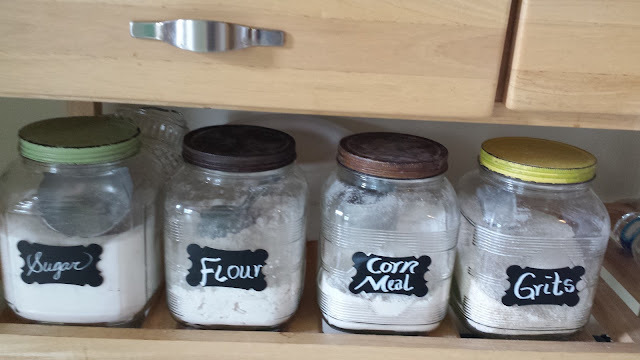 This pantry Post really helped me organize quite well. No news on the move yet or where, but I'm fixing my eyes on the One who knows it all! Having just moved myself, I know the whole process can be very hectic! Sending positive thoughts your way! Thank you very much for the party, Theresa! Thank you so much, Christine! Very much appreciated!